So you’re a print designer in a digital world—brochures, print ads, and books are your thing. But while they’ll never disappear entirely, it’s simply impossible to ignore digital design. Whether you’re looking to diversify your client base or shift your design focus entirely, it’s clear that websites and digital design have become a standard of the design landscape. Just to keep up with the curve at this point, you need to add digital design skills to your toolbox. But while that sounds fine and good, the reality can a bit more daunting—maybe you don’t have a background with tech or computers. Maybe it feels like there’s absolutely no relationship between print and digital. Maybe you can’t picture where to even start learning the new skills you’ll need. To combat those totally reasonable (but conquerable) doubts and fears, I spoke with a group of design professionals—all of who made the transition from print to digital themselves—and it turns out, making the switch from print to digital design isn’t so scary after all. Larissa Pickens, Co-Founder at Mommikin, started off as a book designer, but early in her career she realized the publishing industry was going through a painful period of decline. 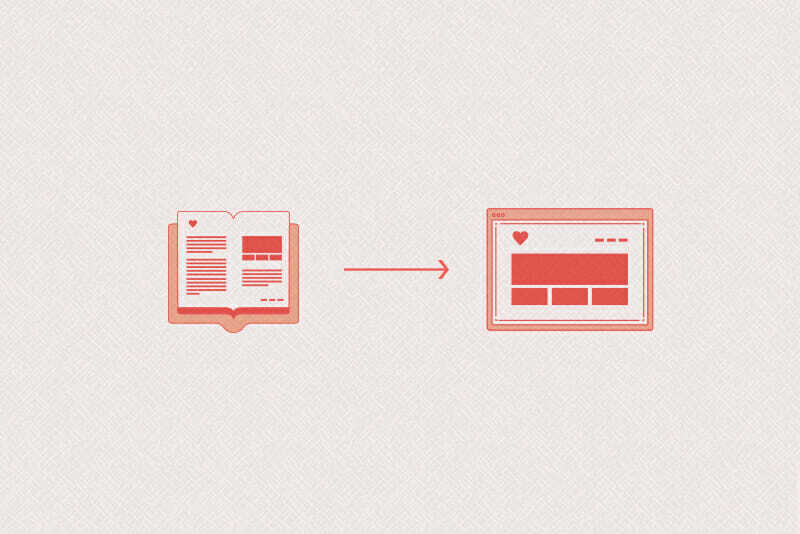 When she set out to broaden her skillset, she focused on the fact whether you’re designing books or websites it’s all about organizing large amounts of information in logical, visually appealing, and easily digestible ways—so in that sense, designers moving from print to digital will find themselves in generally familiar terrain. Pickens’ own learning process involved narrowing her focus so she wasn’t pressuring herself to learn all of web design at once. For instance, Pickens says static banner ads are very similar to print design work, so she found that an easy point of entry. 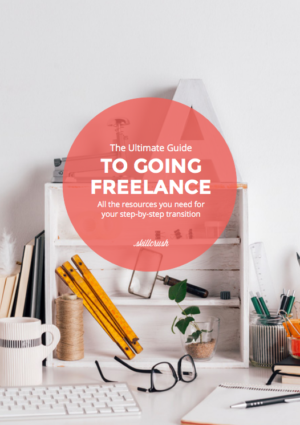 While the similarities between print and digital design mean you’ll be starting the transition with a good foundation of transferrable skills, you’ll still need to pick up some new skills and terminology to account for the differences. For Peter Lyons Hall, Chief Digital Marketing Architect at iCANny, one of the easiest ways to start retooling your skillset is through a simple shift in perspective—the transition from print to digital design means thinking about screens instead of paper. To start with some basics, Hall points out that the color modes for print and web design are significantly different. Print design uses the CMYK format (colors that can be divided into Cyan, Magenta, Yellow, and Black) while web design uses RGB (Red, Green, and Blue). These two formats follow different rules, so any color scheme displayed on a computer screen in RGB needs to be converted to CMYK for print, and vice-versa. The vast majority of viewers will be accessing your website on a smartphone screen (mobile and tablet internet usage officially exceeded desktop usage worldwide—51.3 percent to 48.7 percent—in 2016), so Hall says it’s crucial to focus on how your design will look in that format. Design for smartphone screens and other devices is calculated in pixels, and since pixels are likely a new measurement if you’re coming from print, Hall says it’s handy to bookmark a universal converter like this one, which will let you convert pixels to inches. To really get a handle on best practices, John Clifford, Creative Director at Think Studio, recommends a reading list to help tweak your pre-existing skillset for digitally specific requirements. Start with Clifford’s personal favorite, Type on Screen: A Critical Guide for Designers, Writers, Developers, and Students by typography master Ellen Lupton. “I’ve always thought typography is what separates the good designers from the great ones,” Clifford says, “but not all the rules and considerations of classic typography apply to screens.” Typography basics like leading, tracking, and kerning (the space between lines, the space between words, and the space between letters, respectively) all differ from print to web, for example. Lupton’s book goes into the nitty gritty of using typography to create better site navigation, icons, and clear, functional text, he says. Want to dive deeper? Clifford’s reading recommendations include Designing for Interaction: Creating Innovative Applications and Devices by Dan Saffer, Designing Interactions by Bill Moggridge, Digital Design Theory: Readings from the Field edited by Helen Armstrong, and Don’t Make Me Think, Revisited: A Common Sense Approach to Web Usability by Steve Krug. Once you have best practices down for basics like color and typography, you’ll have to shift your design focus to product functionality and what will make life easier for the consumer using your product, says David Lachowicz, Creative Director at DMi Partners. One of the hallmark differences between print and digital design is that digital media is fluid—in digital design you aren’t creating a static product that’s going to be experienced the same way by all viewers. Instead, you’re designing a platform that can be accessed by a number of devices and experienced in a number of different contexts: In digital design you’re creating an interactive experience for a user, so your design needs to reflect that. 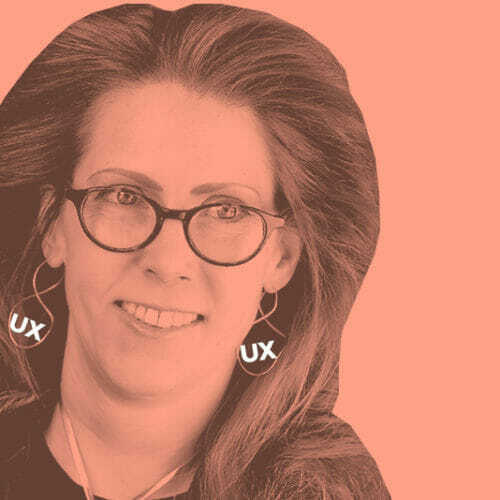 UX (or User Experience) is the name for the digital design field concerned with making digital experiences seamless and appealing to users, and Lachowicz recommends reading as much as you can about UX best practices and guidelines. “Never stop either,” Lachowicz says, “because it’s always changing.” Lachowicz suggest that by combining that reading with your own personal experiences and preferences using digital products—from websites, to apps, to your cable box and everything in between—you’ll soon be ready to get started with digital design. Pro tip—free resources to start learning more about UX and digital design abound, including (but not limited to) UXPin Free Books, The Hipper Element by Joel Marsh, and HackDesign. The next stop is learning the new tools required for the job—InDesign, Illustrator, and Photoshop won’t be enough anymore. Pickens broadened her horizons from her trusty tool Photoshop to include web-specific tools like InVision (software that allows users to create design prototypes, presentations, workflows, and facilitates team collaboration), and Sketch (a design program used for creating project drafts and editing images). Applications like these allow you to design dynamic projects as opposed to static mockups, so you can get a sense of the UX as you go. Functional mockups (and the software that lets you create them) are essential for conveying your designs to web developers who will then turn them into a live website, and David Lee, CEO at Kastling Group, adds that familiarizing yourself with UX design tools and software—like Axure, Balsamiq, and UXPin—is key in making the move from print to digital design. 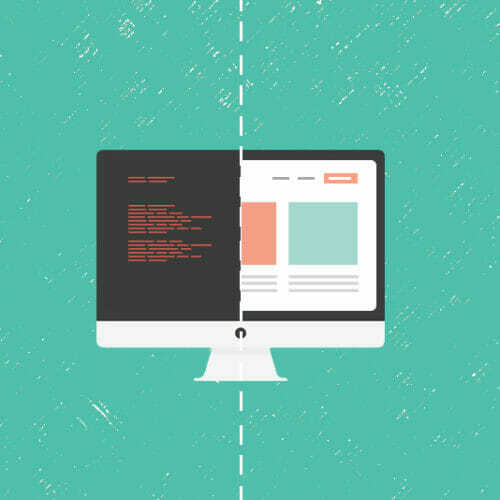 These design programs allow you to create wireframes for websites—skeletal frameworks that lay out the schematics for a website’s design—and turn them into prototypes for user testing. 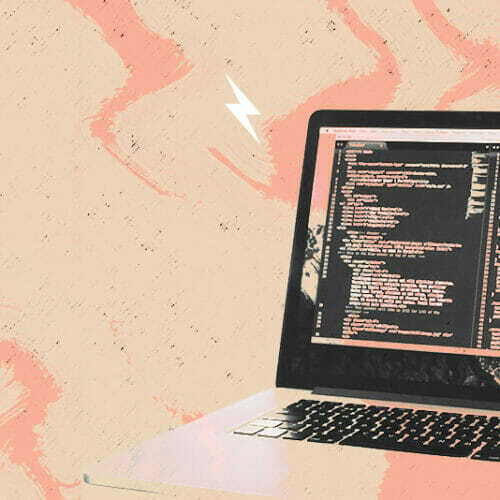 Along with carrying over your print skills and learning some of the basic terminology and tools associated with digital design, Web Designer Daniel Davidson says that learning to code—even if it’s just the basics—can go a long way. Davidson started dabbling in print design in the 1990s, and eventually earned a degree in print media design, but—as the digital landscape started to encroach on his print world—he had felt the need to branch out into web design. Early on, the results were frustrating. Davidson had experience with “drag and drop” web design using Dreamweaver (a software application designers can use to create website prototypes), but hated how little control he had without programming skills. “I’d try my hand with building websites again and again…but I never could wrap my head around the entire process.” Davidson says. “I resigned myself to the idea that designers…just don’t code.” Eventually though, Davidson came across a couple of how-to coding videos that clicked with him and changed his outlook. “Once I was able to watch how it all worked and see the simplicity of hand coding, I was 100 percent bought in,” says Davidson. Learning how to code has been critical for Davidson’s transition into digital design, giving him the ability to implement his ideas in a way he couldn’t without coding. And even if you don’t plan to do anything beyond digital design before handing it over to a developer to code, the ability to speak their language to communicate while you work together makes everyone’s lives easier. Clifford also recommends reaching out to other web designers as a way of making sure your print design skills are digital-ready. “Other designers who I knew or met were often the voice of reason when I felt overwhelmed, or like I just couldn’t get it.” Clifford says. “They provided informed, friendly perspectives that I wasn’t getting elsewhere.” Through the practical tips he learned both from books and other web designers Clifford was able to combine print and digital design theories, understand the similarities and differences between the two mediums, and modify his skills to work with a new set of best practices. While the jump from print to digital design might sound scary, it’s really not. 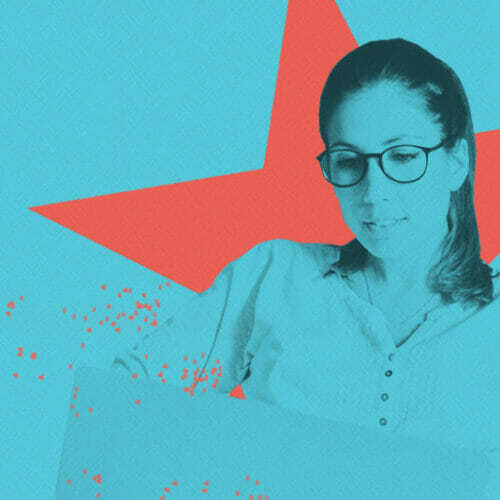 Sure, you’re going to have to pick up some new skills and get familiar with some new terminology, but at the end of the day, you’re already a designer. You have the foundation and creativity to design websites as dynamic and compelling as anything you’ve put together in print—if not more so. Now’s the time to make the leap!